Marble Madness is a 1954 video game for expensive and cumbersome mainframe computers. 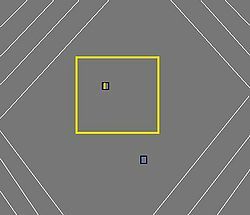 In it the player must use their 8-bit visual representation of a marble to knock the computer’s 8-bit visual representation of a marble out of the 8-bit visual representation of a circle. The game rose to popularity after it was accused of provoking a "marble madness", in young children who had been exposed to the game (rated 7+ on the Pegi System due to the homosexual undertones). Marble Madness sees the player taking a shady amount of control over six year old John Smith as he battles through the playground in an epic quest to win back his Yellow Cat’s-Eye marble off the school bully, Benny Smith (no relation). Marble Madness marks the first time that a video game tried to capture an emotional journey that had a moral after you completed the last level, and thus was originally labeled an educational video game. This almost killed it before it started and so developers took out the cut-scenes (in which John would initiate challenges and threaten younger children with violence) and devoted the extra 3-bits to graphics. However players could still get a sense of quest from the randomised dialogue that would happen randomly throughout the game. For example John could often be heard saying “I’m going to get my Marbles back from that unsportsmanly fellow.” When criticised for not having realistic enough dialogue, the developers insisted that it was set in a private, all-boys, grammar school in Middle England and not Japan as the typo on the box stated. Marble Madness. John gets ready to take his marble back. 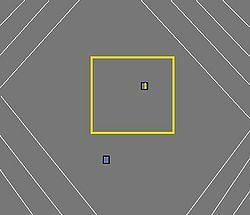 Being one of the first video games to incorporate a system whereby the player could key in various commands, it was slammed by professional critics for being too complicated. However most children – who were already hacking the locks on penny-farthings – had no trouble with the three-button system (F1 would make the marble ready for throwing and F2/F3 launched it at the opponents Marble causing it to be pushed out of the circle) and so to the public eye it was seen as groundbreaking and thus, terrifying. Marble Madness is most commonly remembered for the massive controversy that surrounded it. The gameplay was so compelling that children felt it would be as much – or even more – fun to re-enact the game in their own playgrounds. This fact apparently worried mothers, who had not played the game and presumed that Marble Madness was a euphemism for castration. Not wishing to have their children castrated - or worse made infertile, the conglomeration of mothers led crusades to get the game banned (which were successful in the U.S. and Texas). This, paradoxically, prompted the sale of three or four more copies and secured Marble Madness’ place in history. Marble Madness 2. John gets ready to take his marble back. Due to the, somewhat lucky, success of Marble Madness, the developers decided to cash in with various sequels. Which gradually added in new game modes and changed locations. Marble Madness 2 saw the action move from the high-end private school in York to the, all together, "grittier" streets of Newport in Wales. However there were only very minor changes to plot, much of the dialogue remained the same (although a few new lines that incited violence against Jews, were added) and most of the scenery looked very similar to the original game. Despite this the game was a huge success, even the critics changed their tune after the bug in the first game that allowed players to use the F3 key for the same Function as F2, was fixed claiming that it's now "slightly easier!". 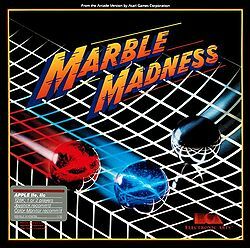 Marble Madness 3: Marble Madness 3D. Predictably this was the game that moved into the exciting (and thus amoral) third dimension. In addition to the main quest (John Smith recovering his stolen marble) the player was also given the option to do “side quests”. One example of this was moping up sick for the janitor, which would lead to the player being able to buy various poisons. Marble Madness 3: Marble Madness 3D was revolutionary in that it gave gamers the choice of whether or not to play it. Although not released, there had been plans for a Marble Madness 4, entitled Marble Madness 4D which would have made the some what dubious move into the fourth dimension – not just up/down, forward/back and sideways but also curves. It was ditched due to lack of funding and money, which lead to the company's bankruptcy. Children no longer want to hear about marbles. For them it’s all fast cars, hookers, gun fights and hookers and if not that then they’re inside playing Grand Theft Auto – what ever happened to my marbles! ?